Houston Juvenile Lawyer James Sullivan is Board Certified in Juvenile Law and has defended juvenile clients in jury trials since 1994. He has represented over 3,000 clients. He defends and fights for those accused of breaking the law. He represents people from around the world, from many diverse countries, ethnic groups, religions and customs. He has represented people from literally every continent and over 75 countries. Houston Juvenile Attorney James Sullivan studied Journalism, Latin American and Asian studies at Baylor University. James Sullivan also speaks Spanish. In 1988, traveled to the war zone areas of northern Nicaragua on a Christian mission trip. In 1990, he lived in Mexico City and traveled throughout the country. James Sullivan met his wife Araceli while living in Mexico, and he has many relatives living throughout Mexico--from the coastal state of Guerrero to the most southern state of Chiapas. Sullivan has also visited Italy, Czech Republic, Austria, Hungary, Canada and Costa Rica. Houston Juvenile Defense Lawyer James Sullivan has represented many Spanish-speaking clients in criminal and juvenile court. He has represented clients from around the world and from all faiths. His understanding of different cultures has enabled him to get many cases dismissed based on a multitude of reasons--from cultural misunderstandings to psychological problems that were exacerbated by the need to "save face" in Asian cultures. Texas Juvenile law is different than criminal law. 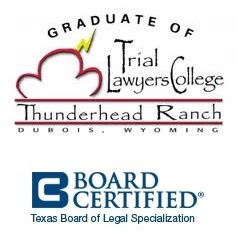 Note: Among the more than 83,000 active lawyers in Texas, there are only 38 lawyers Board Certified in Juvenile Law in private practice. If you want serious representation, contact Houston Juvenile Attorney James Sullivan at (281) 546-6428 for a free confidential consultation.